As we all know, Apple Search Ads gives app publishers a chance to get the prime spot in the App Store search results. This premium ad network is famous for its fraud-free environment, pre-qualified users and high conversion rate. That’s all well and good, but it’s not always that easy to measure the return on the App Store ads spend. The thing is the difference between Apple Search Ads self-reports and data provided by Mobile Measurement Partners (MMPs) might reach from 30% to 70%. 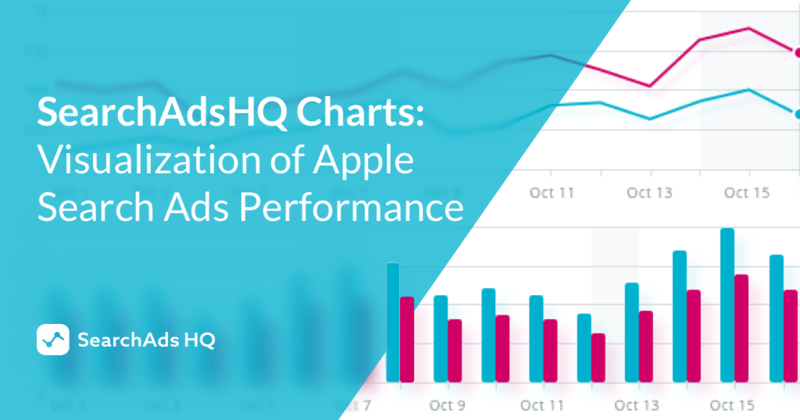 The SearchAdsHQ team is happy and proud to announce the introduction of charts within our platform for management and optimization of Apple Search Ads. The charts are all about dynamics in metrics over time and data analysis. They favor the discovery of trends, patterns, spikes, drop-offs and metrics correlations. In general, charts is a powerful way of information representation which makes it easier to compare different data and numbers. A survey by Aberdeen Group found that managers that rely on visualized data along with dashboards and reporting are 28% more likely to gain relevant insights. In the context of Apple Search Ads, metrics visualization assists in more efficient assessment of App Store ads performance fluctuations which in its turn streamlines your decision-making process. The SearchAdsHQ team has wonderful news to share. The most anticipated feature – Cohort Analysis for Apple Search Ads – is finally here! Multiple new metrics were added to the SearchAdsHQ dashboard which means not only more detailed analytics but better filters and more flexible automatic rules for keywords management. 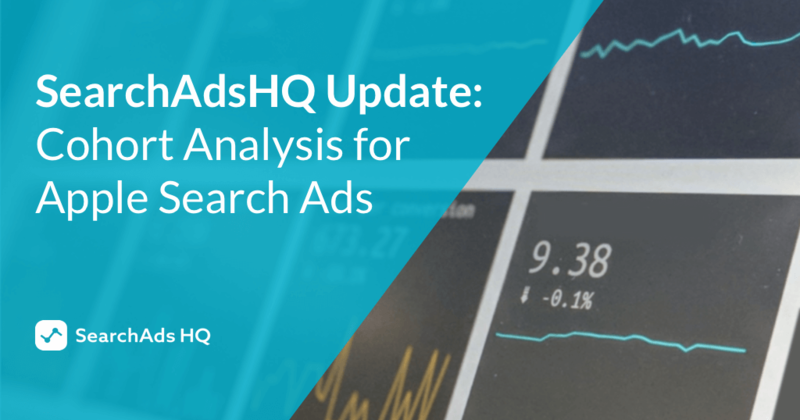 Thanks to the introduction of cohort analysis, SearchAdsHQ users are now equipped with the tool that helps them understand the rate of return and the amount of ROAS (return on ad spend) and revenue coming from Apple Search Ads. Over the last few months, Apple Search Ads made a huge leap forward with Creative Sets introduction and significant storefronts extension. Ads in the App Store have already passed the stage of being effective yet optional user acquisition channel turning into an essential ingredient of any successful marketing strategy. Taking into consideration that wise keywords choice predetermines the efficiency of your Apple Search Ads activity, App Store keywords popularity should come into your sharp focus. 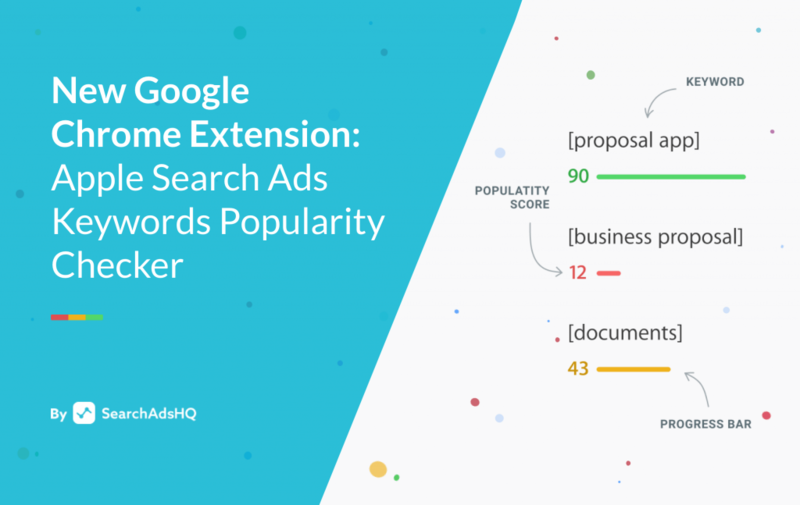 To streamline keywords related decision-making, we are happy and proud to introduce our brand new Google Chrome extension ‘Apple Search Ads Keyword Popularity Checker’. After months of testing different iterations, Google finally launches new design of their Play Store. In general, Android users are accustomed to constant minor changes of the store, but the latest redesign seems to be one of the most substantial ones over the last few years. Let’s study out all of the changes in the updated Google Store and explain how you can adjust your app store optimization efforts to the changing tides of Google Play. The world is looking forward to Apple’s September event each year. Weeks before this annual presentation, speculations on new iPhones design, Apple watch novelties, iPad updates, etc. congest the internet and fuel curiosity of tech and gadget fans all over the world. App publishers and mobile marketers, in their turn, try to foresee Apple Search Ads further upgrades and possible App Store updates that new iOS might bring. We reached out to the industry influencers to discuss their predictions regarding the upcoming event and its potential impact on ASO. The SearchAdsHQ team is proud to announce the redesign of our platform for App Store Search Ads management and optimization. The thorough analysis of users feedback and focus on increasing the dashboard efficiency became our guiding lights. 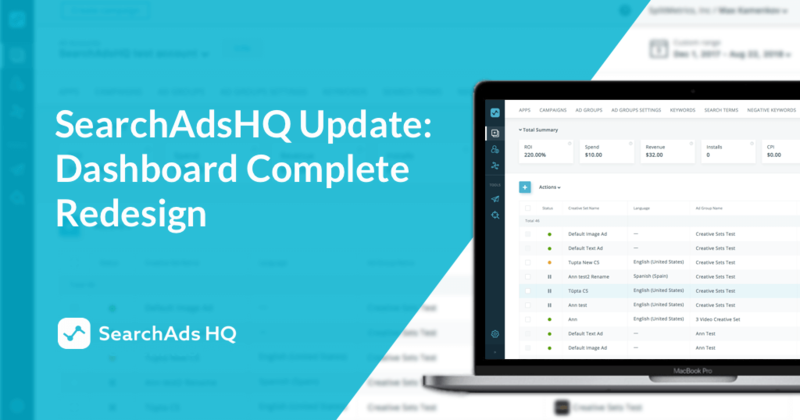 The updated look of the SearchAdsHQ dashboard doesn’t only meet all needs of users, it also improves functionality, enhances informative value and upgrades usability. 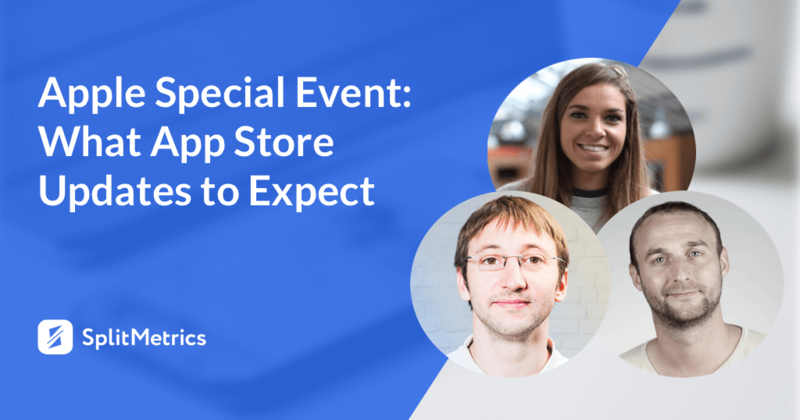 The optimization of App Store Search Ads has never been that intuitive! Apple Search Ads keeps proving itself to be an ad channel bringing high-value users. For example, JoyTunes, the company behind instrument learning apps, claims that the number of users upgrading from free to subscription is 2 times higher if they compare Apple Search Ads with any other paid channel. Apple introduced Creative Sets earlier this year taking yet another step towards elevating Search Ads efficiency and App Store user experience. Creative Sets allow to align various app previews and screenshots to keywords that are relevant for a specific audience group. 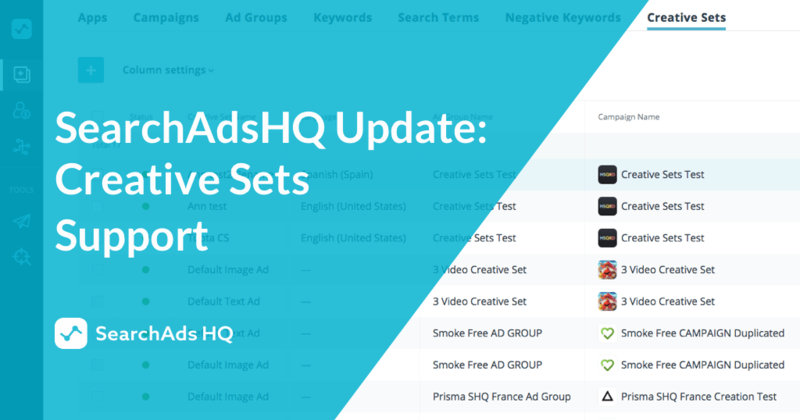 SearchAdsHQ is happy to announce that we support Creative Sets facilitating Apple Search Ads management. 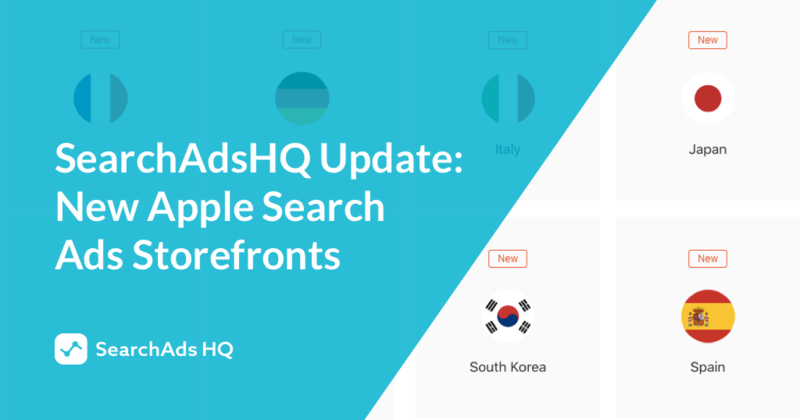 Great news for Search Ads users all over the world – the promised Apple Search Ads storefronts update got the definite release date. It’s possible to start creating campaigns in new Apple Search Ads storefronts now and they’ll go live on the 1 of August from 4 p.m. PDT. France, Germany, Italy, Japan, South Korea and Spain complemented the list of countries where you can run Search Ads. We are proud to announce that SearchAdsHQ will support new storefronts from day one. It is well-known that the top position of the App Store search is the sweetest spot for any app. The latest report proves it once again. According to Apple, 65% of downloads come from the Store search directly. This trend makes Apple Search Ads as relevant as possible. On top of that, Search Ads’ can boast really impressive average conversion rate of 50%. 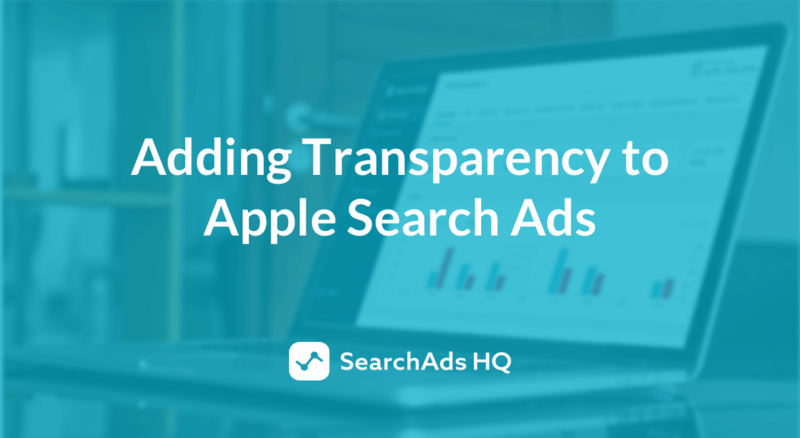 To facilitate and empower your Apple Search Ads experience, the SearchAdsHQ team is happy to introduce our brand new feature – automated cost per action bidding. Ever wondered how to optimize your spend without any extra effort from your side? 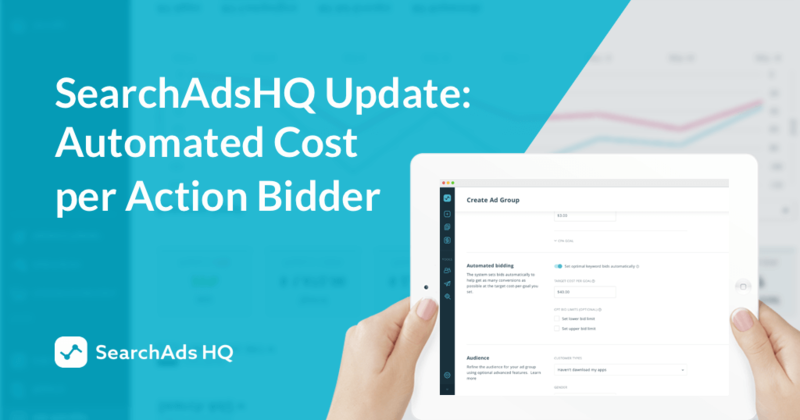 This smart auto-bidding feature is the answer!